After Gold, Silver are also down in market. Silver are continuously goes down to down. It goes to 4 year lowest prices. Our experts says Silver are fall up to Rs 37000 and Gold are fall up to Rs 25000 Diwali festival. International market Silver are flat up to 17.30 $. Above this investors are move to equity market ,thereby decreasing demand. Pinnacle financial experts think Silver are fall up to Rs 38000 in this week. The whole world is seeing buoyant equity markets. Domestic shares have risen 32 per cent in the past year. Stock market experts believe that the market continues to boom further. Get better returns than the stock market because investors to invest in bullion instead have turned to the equity market. 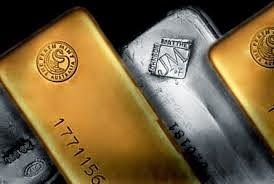 Thereby decreasing demand for gold and silver.